Your Perfect Bridal Portrait & How to use the Window Effect to Get It! You might already know about a concept I call The Window Effect. If you’ve found yourself on my homepage or have clicked the link in my Instagram bio you’ve seen a free guide I created to help you get that perfect bridal portrait. It’s no secret- I’m slightly obsessed with natural light! And when I don’t have natural light? It’s my goal to use artificial light to emulate that of natural. So no worries if we get into situations with no natural light, but I don’t shy away from letting couples know it’s my favorite light to photograph their love in! The Window Effect- what is it? So what is The Window Effect? Without getting too technical and photographer nerdy on you, it’s the way light filters in through a window and graces over you and your dress, perfectly. It’s some of the most flattering light because it’s directional and we control what angel it falls on you. This light is typically soft, not harsh, and gives us the opportunity to capture a perfect bridal portrait early in your day. Doesn’t The Window Effect sound dreamy? These photographs are typically in with my favorites from your day- and with good reason! That’s the million dollar question, right? We don’t need much ‘extra’ to achieve your perfect bridal portrait. We do, of course, need a window and some space. 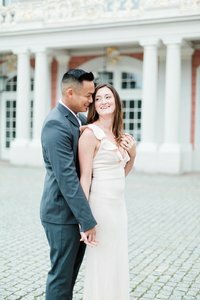 I’ve Googled a good bit and have found few checklists specifically for evaluating your wedding venue with photography in mind. So I decided to create just that. In my Guide to The Window Effect you’ll gain insight as to why location is so important and some questions to get you and your fiancé thinking about venues with photography in mind. Yay! Welcome, friend! What's the next step? Head over to your inbox and hit confirm! 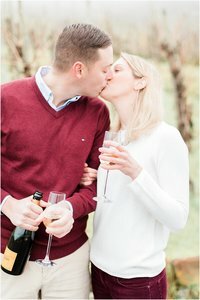 The getting ready shots and bridal portraits are some of my favorite as well! I love shooting beside windows and in well-lit rooms that are so flattering for everyone! Such good info! It’s so easy to get lovely bridal portraits with a good window, but without it can be really tricky! No light in the world is better than natural light! Especially with a beautiful window! I love how the light cascades in on the bride for her portraits! This is such a great and informative article. I love window light and I have made my favourite images near a window! I think this is amazing. I can use these tips for photographing for my business as well. Natural light is so pretty! Wow she looks so perfect in this window shot! We need to try to take a shot like this! Window light for a photographer is the equivalent of Frodo to The Ring. It’s our precious. Can’t go wrong with that beautiful light! 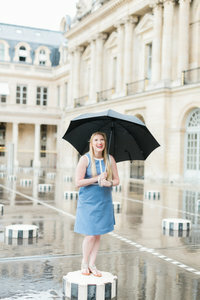 What a great idea to give advice on getting great bridal portraits! Bridal portraits are my favorite pictures to take on wedding days!